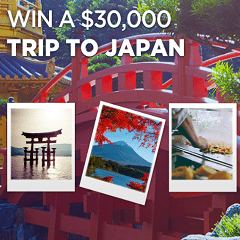 BeQuick is giving you a chance to win a trip to the beautiful and inspiring country Japan! Simply click "CLAIM OFFER" and fill in your details and you're in to become their next winner. The winner will be able to choose between $15,000 cash or the $30,000 trip to Japan.